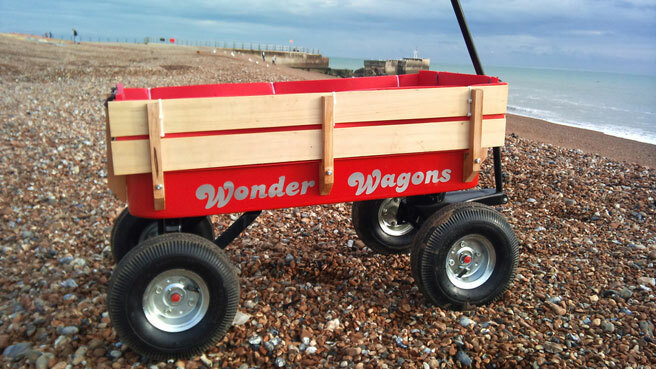 Summer at the beach brings out some of the coolest beach wagons for kids. Do you want a beach wagon that will carry small kids, coolers and actually roll across the sand? 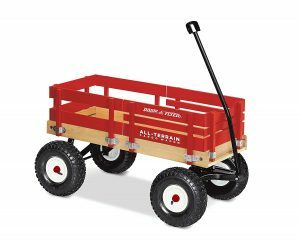 At our beach in Carlsbad, CA, we’ve seen every type of wagon from the classic Radio Flyer cargo wagon to themed foldable wagons. There are a few options to consider when buying a beach wagon. Everyone’s favorite little red wagon goes heavy duty in the Radio Flyer All-Terrain Cargo Wagon, a version with big rubber tires that can carry kids from 18 months to 6 years. Our neighbors have this one for their toddler, and they’re always loading it up with boogie boards, snacks and drinks for a long day at the beach. 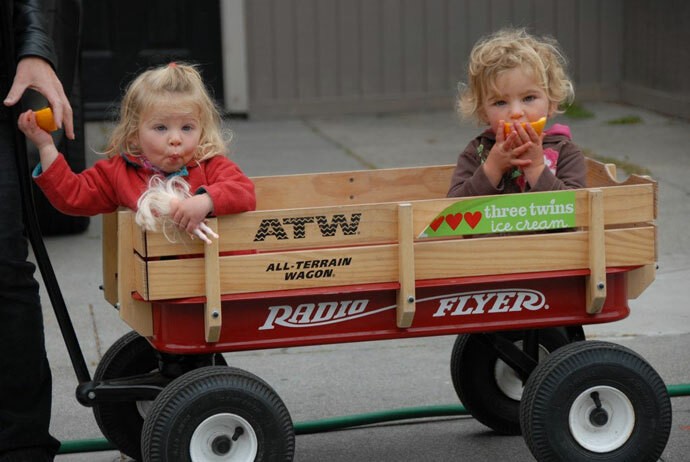 The All-Terrain Cargo Wagon is a great option for children who don’t want to ride in a stroller. If you’re always heading to the beach or other rough terrains, this is a great pick. It takes up a lot of storage space in both your garage and your car, but is a good quality item that your kids will enjoy for many years. 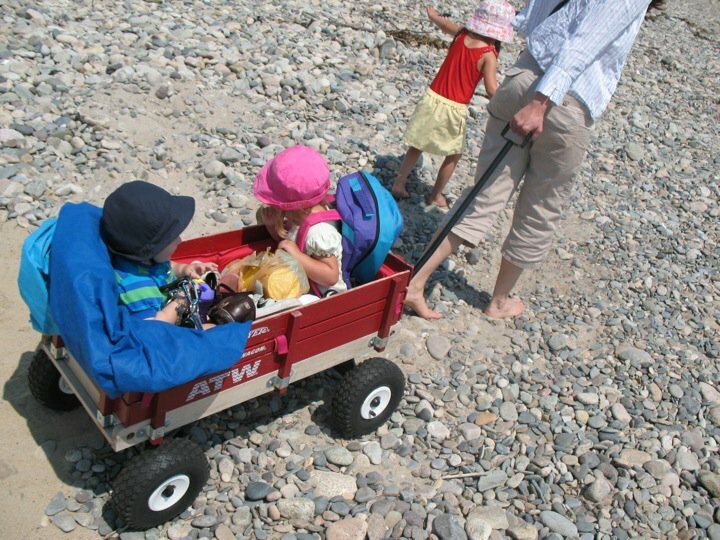 Many families that visit the beach less often want a more compact foldable or collapsible wagon. 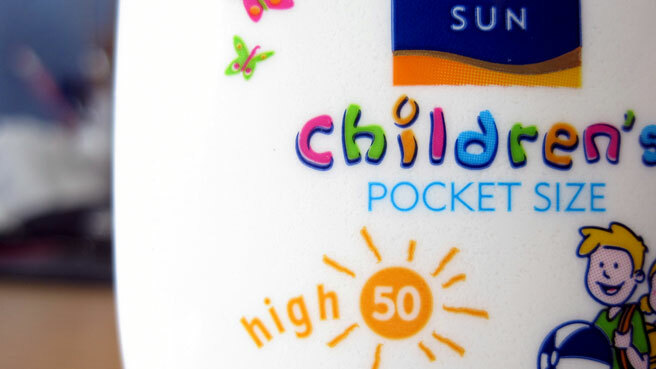 They pack in the car easily, but aren’t recommended to hold a lot of weight, or carry children. If you need to drag one of these through sand carrying coolers and boogie boards, you’ll want one with big wheels. The big-wheeled Mac Sports Folding Beach Wagon has a large weight capacity and was specifically made for sand! 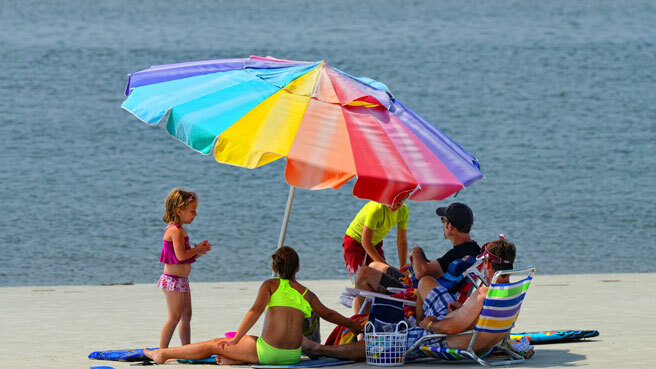 If you just want something to lug your stuff, you might consider the Rio Wonder Wheeler Beach Cart, which won’t hold kids but can pack up to 4 beach chairs and is easy to roll. I even spotted a few on our recent trip to Catalina Island, where I suspect hotels rent them out to guests. 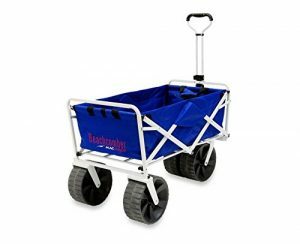 You can also find foldable wagons at your local Home Depot (metal ones used for gardening) or sporting goods store. Traveling with a stroller? 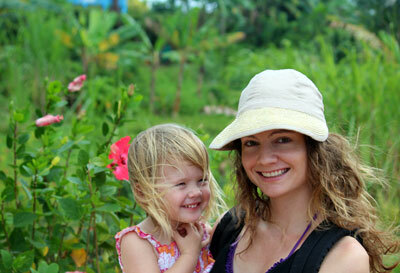 Load up your stroller with your lightweight beach stuff and add a Mommy Hook to carry extra bags. The Mommy Hook is great for bags of sand toys or a picnic basket. You can even put a small cooler in the stroller seat and carry the baby or make the toddler walk! 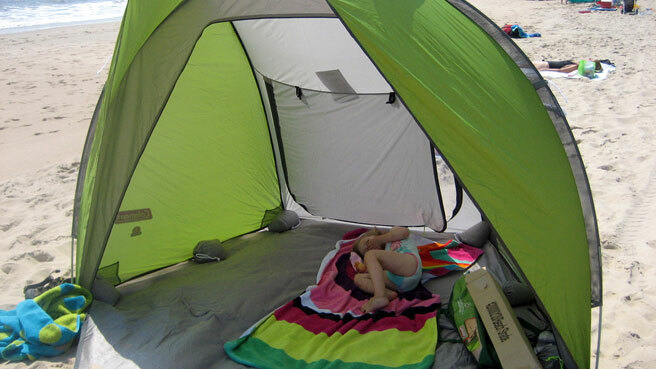 I know a beach outing with a baby, toddler or a bunch of kids can seem daunting, but it’s much easier if you’re organized and prepared. 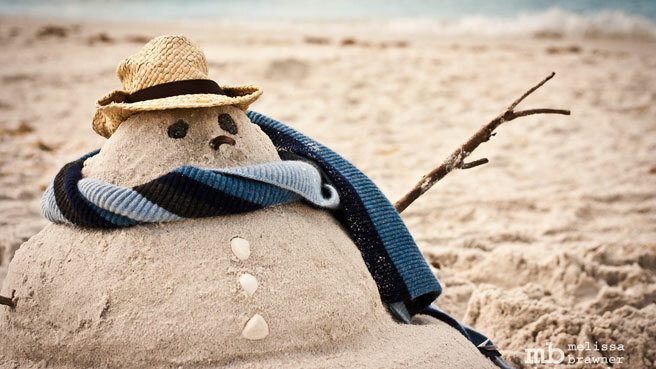 Stock your new beach wagon with all the right things to bring to the beach and make it a trip to remember.